Dean Ambrose To Face NXT Star At WrestleMania 35? The Lunatic Fringe looks set to go up against a highly anticipated main roster call-up. Dean Ambrose looks set to face former NXT star and latest main roster call-up EC3 at WrestleMania, according to Joe Peisich on Barnburner's No Holds Barred podcast. "I'm also hearing that EC3 will [go] up against Dean Ambrose at WrestleMania." 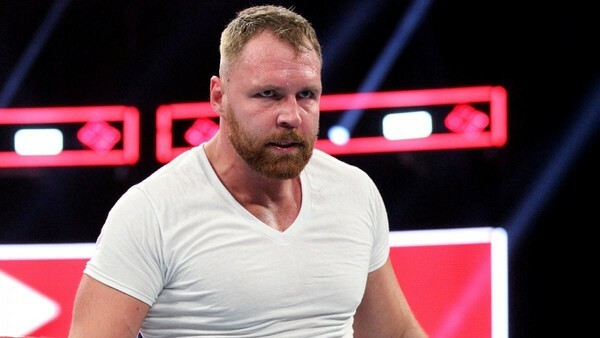 Ambrose recently lost his Intercontinental Championship to Bobby Lashley in a triple threat match, which also featured Seth Rollins, on Monday Night Raw. On this week's episode he insisted he would win the men's Royal Rumble match on Sunday, but if unsuccessful he would be without an opponent at the Show of Shows. EC3, who alongside the likes of Nikki Cross, Lacey Evans & Heavy Machinery, has been teased for months as a main roster call-up and was allegedly meant to debut around SummerSlam prior to an injury sidelining him. Nevertheless, big things are expected of the former two-time TNA World Heavyweight Champion, and a rivalry with Dean Ambrose within months of arriving on TV would instantly elevate his standing within the company. Bryan Alvarez on a recent episode of Wrestling Observer Radio suggested that in the interim EC3 may well feud with current Intercontinental Champion Bobby Lashley on the basis that "they both like to pose".